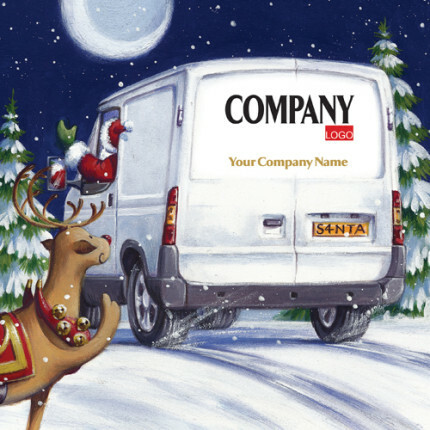 'White Van Santa' sets off on his deliveries with a joyful wave as he leaves his reindeer behind. For that extra special personal touch add your logo and/or company name to the back of the van. Out for Delivery is a perfect Christmas card for corporate, business, company or personal use.